The Presidential candidate of the People’s Democratic Party (PDP), Atiku Abubakar on Thursday said that the misrule of the ruling All Progressives Congress (APC), has led the country to lose over 12 million jobs, stressing that the best prosperity, peace, educational advancement in the history of the country were all enjoyed under the PDP. The former Vice President whose statement was corroborated by Senate President Bukola Saraki, at the flag-off of the party’s South West campaign held at Mapo Hall, Ibadan said that the Buhari-led administration is the most corrupt government in the history of Nigeria, while assuring that he would ensure the security of lives and property, alleviate poverty from the country they described as the poverty capital of the whole world and start the process of restructuring of the country within six months of assuming power. “Everyone knows that I chaired the best economic team in this country. If you give me the opportunity again, I will organize the best team that would bring economic prosperity back to this country. South West has been known for educational advancement, if I’m given the opportunity, I will ensure that this zone regain its glory,” Atiku added. As contained in a statement signed by the Director of Press in the Ministry, Ngige said he was invoking his power as the Chief conciliator of the Federation to take over negotiation between the union and the government, regretting that efforts so far has not been successful, while announcing that a meeting has been convened for Monday, December 10, 2018, at the Conference Room of the Hon. Minister of Labour and Employment by 4 p.m. prompt. The Minister also faulted human right lawyer, Femi Falana (SAN) on the implementation of the No work, no pay policy of the government, saying every employer has the right to withdraw pay for workers while on strike in accordance with ILO conventions and the Nigeria Labour laws. 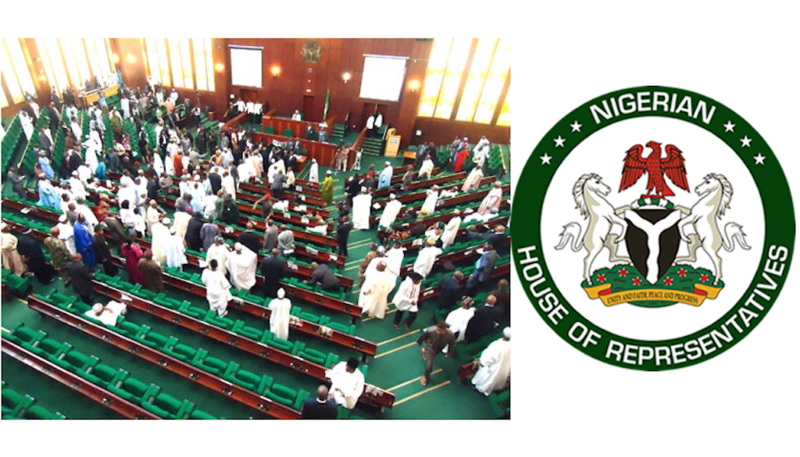 The House of Representatives has approved that June 12 be celebrated as the country’s Democracy Day annually, following the adoption of a report on by the Committee of the Whole on Thursday. The approval for the bill entitled, ‘A Bill for an Act to Amend the Public Holidays Act, Cap. P40 Laws of the Federation of Nigeria, 2004 to bring the Act in tandem with the current realities and exigencies of the modern times and to declare June, 12 as Democracy Day in Nigeria and for Related Matters’ sponsored by Hon. Edward Pwajok and Kayode Oladele, followed the amendment of three clauses ‎in the Public Holidays Act 2004, one of which deleted May 29 as Democracy Day from the Act and replaced with June 12. The amendment was necessitated after President Muhammadu Buhari had declared earlier in the year that June 12 is the new date for Democracy Day to honour Moshood Abiola, presumed winner of the 1993 presidential election. The construction of the Second Niger Bridge project conceived to provide an alternative crossing between Asaba and Onitsha will be completed in 2022. Managing Director, Nigerian Sovereign Investment Authority, Uche Orji, who disclosed this shortly after an inspection of the project, expressed optimism that the project would not experience further delay, explaining that a total of N33bn has so far been released for the implementation of the project which is estimated to gulp about N220bn. “The mobilisation for the project was released in August. We are confident that the funding is more stable now and we are looking at a completion date of 2022. It’s a big project,” he added. Nineteen out of the 27 members of the Imo House of Assembly on Thursday defected to Action Alliance (AA), from the All Progressives Congress (APC) and People’s Democratic Party (PDP). The development which was announced on the floor of the Assembly during plenary saw the Speaker and the Majority leader formerly of the APC as well as three PDP lawmakers dump the ruling party, citing lack of direction in the PDP. China is demanding the release of telecoms giant Huawei’s chief financial officer and daughter of the company’s founder, Meng Wanzhou, who has been detained in Canada.